Classy McGraceful - Feeling Feelings: They are just things. I'm not *good* at it, but I have a basic understanding that things come together, humans (with our really intense brain-biology) try to define them and shape them into things/ideas/concepts/rules/judgments/practices that are meaningful to us, and then things ultimately come back apart. Even our brains that made up those things to begin with. Even the fact that I experience "detachment" as a thing at all is a passing moment of existence in the universe. I'm fixated because I want to be OK with it without freaking out every five minutes about it. 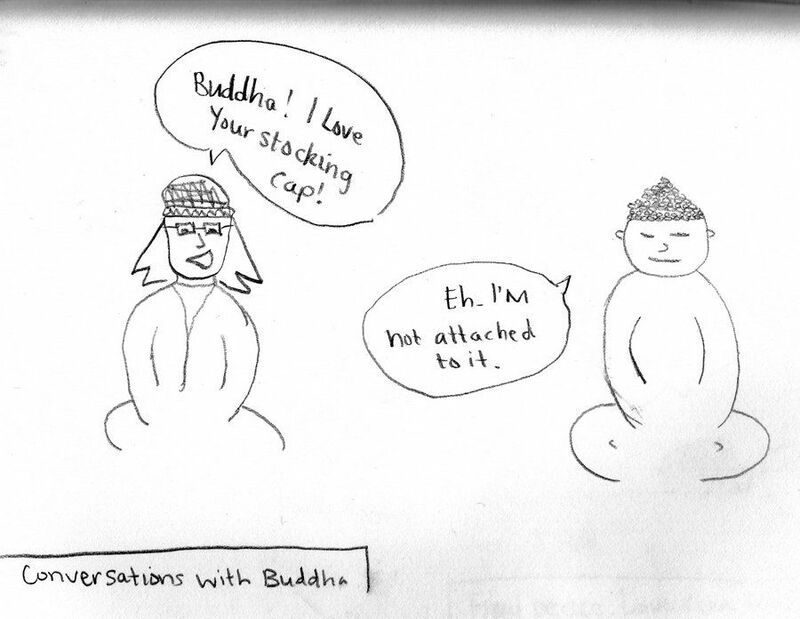 So, I keep coming back to Buddha. And his bitchin' stocking cap.